As 2018 draws to a close, I wanted to take the opportunity to update you on some local points of interest, a couple of national matters, and to wish you a very Merry Christmas and a healthy and happy New Year! Speaking at John Hellins Primary School in Potterspury. Read more here. Congratulations to Chloe Bolton of Brackley Junior School, the winner of my annual Christmas card competition! Read more here. At the beautiful new Remembrance Day garden in Towcester, remembering the fallen with the local community. Read more here. With our hard-working Northants Police team, hearing about some of the challenges they face in keeping us all safe. Read more here. Opening the exhibition celebrating the 180th anniversary of the Roade railway cutting. Read more here. Visiting the fantastic annual Village at War weekend in Stoke Bruerne with “Winston and Clemmie”. Read more here. You can take the woman out of Defra...! Visiting the NFU stand at Conference in Birmingham this year. Read more here. With Chris Heaton-Harris MP, Mark Redding and Rod Sellers at the SRFI public meeting I organised in Collingtree in October. Read more here. One of the biggest issues that constituents have contacted me about over the last twelve months is the proposed development of two strategic rail freight interchanges (SRFIs) in the area between Blisworth, Roade and Collingtree. I have been working hard on behalf of local residents to raise their concerns about both projects, including formally engaging with the Planning Inspectorate's examination of the applications. You can read more, including copies of all my responses to both projects' various consultations and planning processes, on the dedicated SRFI section of my website. With Cllr Ian McCord, Leader of South Northamptonshire District Council, discussing the Towcester Relief Road at a meeting in December. Read more here. We are making progress! Over the past few months, I have been holding a series of meetings with the developer of the new southern extension in Towcester (Persimmon, who have responsibility for delivering the road) and the District Council, and these have been incredibly positive on all sides. You can find more information on the Relief Roads section on my website. Constituents have been in touch with me to highlight recent news stories that the initial costs for HS2’s main civil works are coming in at around £1 billion over budget. 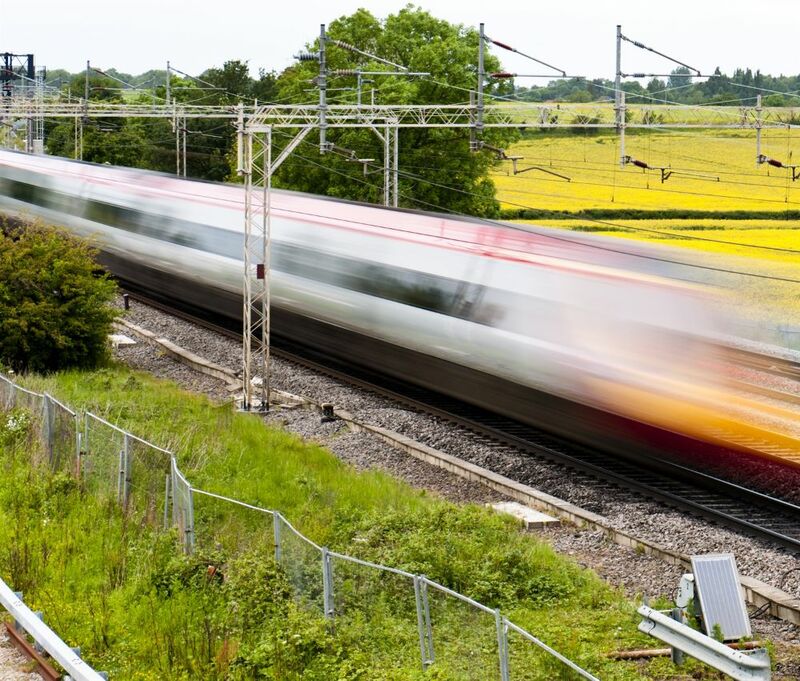 At a recent meeting in Parliament, the Chief Executive of HS2 Ltd, Mark Thurston, outlined that a number of changes to the project may have to be considered in order to keep it within budget and on time. Further to that meeting, I have written to Mr Thurston to ask him to clarify that HS2 Ltd can deliver HS2 on time and on budget and, if changes to the project are made, to provide an updated review of the business case and value for taxpayers’ money. Read the letter here. With my team speaking to residents in Wootton about their broadband concerns. There are still several communities across South Northants - including Wootton, Grange Park, Hinton-in-the-Hedges, parts of Towcester - that are unable to access superfast broadband speeds, which as we all know is absolutely vital in the 21st century to shop, work from home, and entertain ourselves. I have therefore been working with Northamptonshire County Council - which manages the Superfast Northants project - to get Openreach, Gigaclear and other commercial providers to do everything they can to accelerate their plans. Read more here. 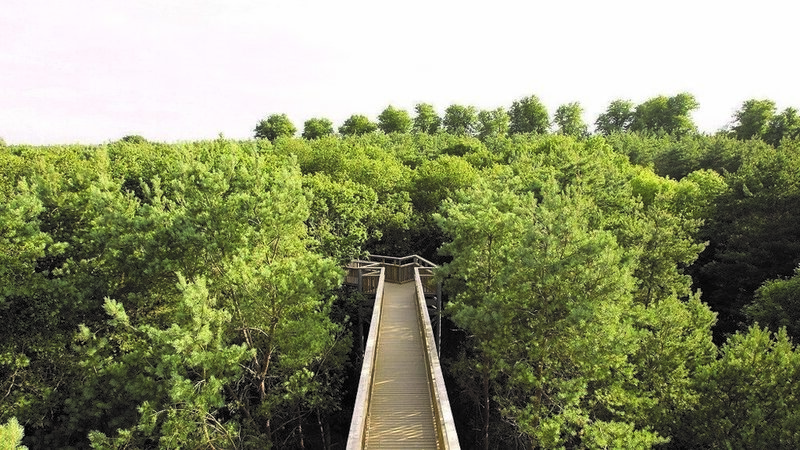 South Northants residents will know that I have been carefully following the decision earlier in the year to temporarily close the Tree Top Way in Salcey Forest, after safety concerns were raised about the wooden structure. I was therefore pleased to hear that, despite significant repair work being needed to make the canopy walk safe, the decision has been taken to reconstruct the lower section and make changes to the route in line with the recommendation from specialist engineers. Read more here. I am delighted to hear that the A422 through Farthinghoe reopened at midnight on Thursday 20th December. I am very grateful to the County Council for keeping the community informed throughout the works, and to their team for successfully completing the repairs on schedule and before Christmas. Read more here. With my Private Office team who support me in my role as Leader of the Commons. Speaking to the joint meeting of the All-Party Parliamentary Groups on Children and the First 1001 Critical Days: Conception to Age Two about the work of my IMG. I am looking forward to more progress being made in the New Year and to the group making recommendations in the Spring. Read more here. I look forward to the Committee’s conclusions so that we can get on with the work that needs doing, and I thank them for their considered attention to this important matter. Read more here. 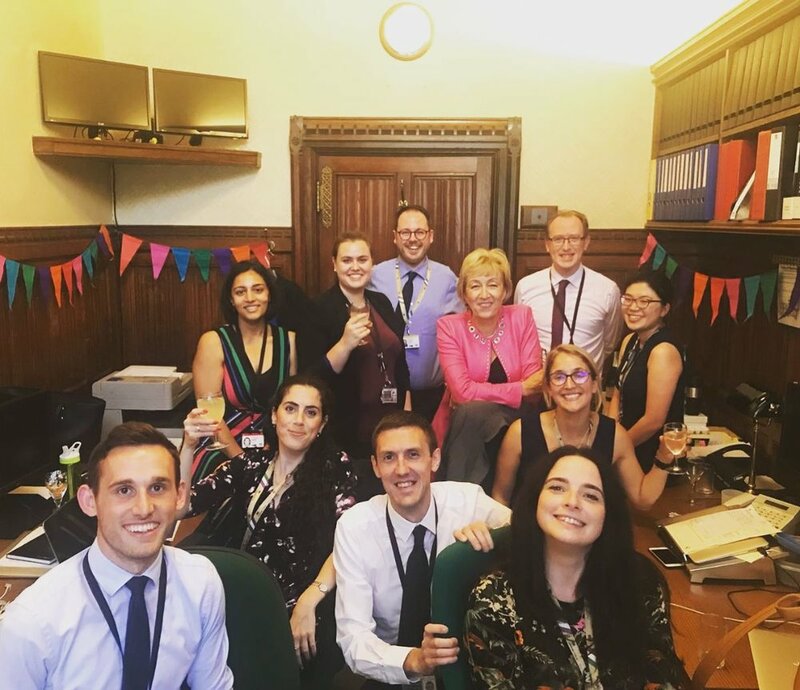 With my Parliamentary team who support me as the Member of Parliament for South Northamptonshire (L-R: Jake, Sarah, me, Luke, Maggie and Tommy) and, of course, Ossie the Cabinet Office cat! Last month, I wrote first and foremost to constituents to outline why I felt I could support the Prime Minister's negotiated deal. As I said in my letter, I am determined that although some seek to frustrate the process, we will be leaving the EU on the 29th March 2019 as planned. Any change to this would be a betrayal of how the people voted in June 2016, and I will not stand by to watch that happen. As we get closer to March, I feel more certain of the reasons I chose to support the Prime Minister, particularly now she has gone back to the EU to ask for stronger reassurances on the backstop. She is absolutely right to do so and I know just how determined she is to deliver Brexit. Whilst the UK will manage in a no deal outcome, I am hopeful we can leave with this deal, which does deliver on the key elements of what 17.4 million people voted for. Read more here. With Penny Mordaunt MP and members of the Civil Service as we welcome the Suffrage Flag back to Parliament after its UK-wide relay. As the year marking 100 years of women's suffrage draws to a close, I have been reflecting on those pioneering women who went before us and fought the battles and campaigns, whether as suffragettes or suffragists, to ensure that their daughters had the same rights and the same opportunities to engage in society and democracy as their sons. 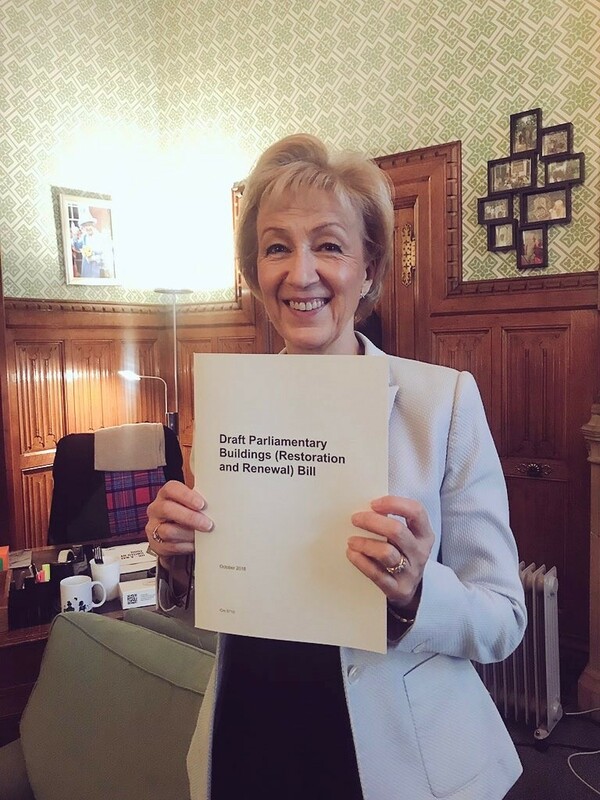 I am the 336th woman to be elected to the UK Parliament ever. To put that into perspective, there are 442 male MPs in Parliament today! It has been a huge privilege to participate in the #Vote100 campaign this year, meeting women from around the world and across the country as we celebrate the achievements of those women 100 years ago. Fantastic exhibition of 209 female MPs photographed by 209 female artists currently on display in Parliament; thank you Alison Jackson for my fab photo! Tommy (L) and Luke (R) in my Westminster office. In the year-to-date, my office has handled over 18,000 pieces of individual correspondence across a huge range of subjects. Some of the biggest issues have included our withdrawal from the EU, the two SRFI proposals, superfast broadband, the Towcester Relief Road, health funding, local bus services, the pensions dashboard, WASPI women, and HS2. 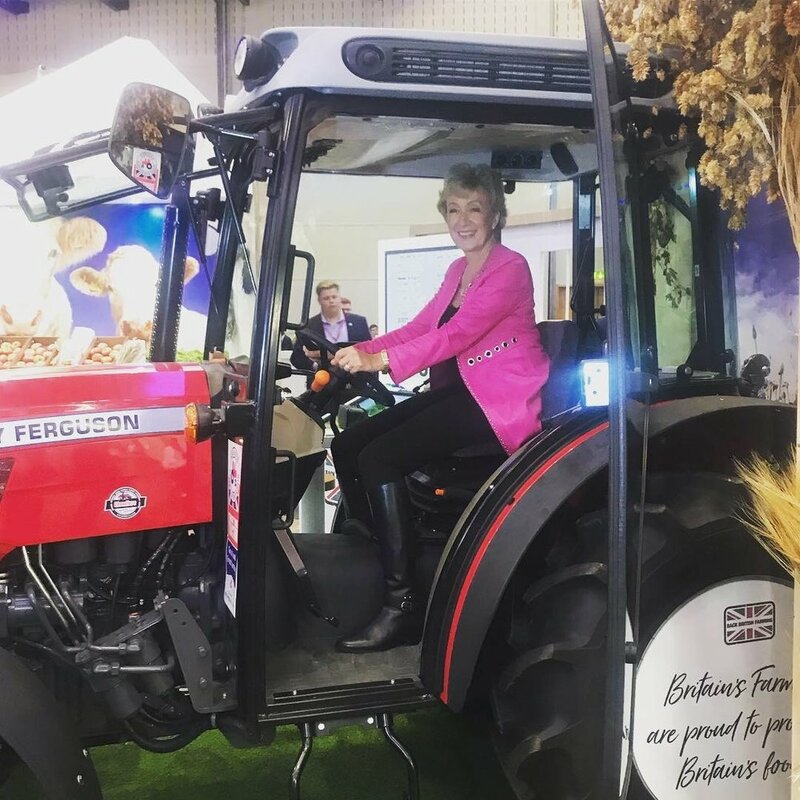 I have also written regular blogs throughout the year to keep constituents updated on all sorts of topics, and I would encourage you to take a look at my archive and review my last twelve months for yourself. My team and I wish you all a very Merry Christmas! Please do get in touch with me via email with any issues or concerns over the Christmas and New Year period - my office will be open throughout and I am keeping an eye on my inbox for any urgent queries. You can also contact my office on 01327 353 124; please do leave a message if no-one is available to take your call. South Northants Council can be reached on 01327 322 322. Should you need to speak with someone urgently about an issue that requires immediate support, please do consider contacting Samaritans on their freephone number: 116 123.